VOA: Prince Mengesha Seyoum says Tekeze River is the boundary between what was Begemedir and Tigre provinces during the Emperor's Time. Counter to TPLF's claim, Prince Mengesha's account puts Wolkait Tsegede in Gonder. TPLF carries out a forced ethnic federalism not to help develop Ethiopia but to weaken and fragment the country as well as incite ethnic hate among the people who have lived in peace and harmony for generations. Does TPLF really care for Tigrai? For instance, Prince Mengesha said as a passing remark during the VOA interview that Sheshebit and Shelalo, now in Eritrea, were part of Tigrai, but not Wolkait Tsegede, which has been part of Gonder Administration. Under TPLF, there is no 'misguided' policy but a policy deliberately crafted to drive a wedge between groups of Ethiopians who have in peace and harmony for generations. Some may interpret the annexation of Wolkait Tsegede as if TPLF is ambitious to build 'Greater Tigrai.' This is profoundly wrong. TPLF's deliberate policy is based on pitting one group of Ethiopians against the other so that the ruling party would remain in power indefinitely because the people lack unity to rise up against it. When we say TPLF, it is not the rank-and-file. It is the very few key leaders housed in the so-called TPLF politburo or executive committee. Others are foot soldiers, including the Central Committee members. If TPLF were a truly Tigrian organization, it would have legally demanded the return of Sheshebit & Shelalo, as well as the Red Sea coast, including the Port of Assab back to Ethiopian sovereignty. Instead, TPLF likes to foment conflict within and among the different Ethiopian ethnic groups. 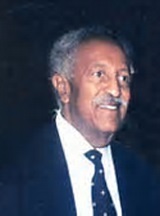 By the way, during the 1998-2000 Ethiopia-Eritrea War, Meles reportedly asked Prince Mengesha Seyoum to provide him with documents that prove Badme and other disputed areas were under Ethiopia's administration when he and his father, Ras Seyoum Mengesha, were the governors of Tigrai from the '40s and '50s onwards. Prince Mengesha supplied Meles with a treasure trove of documents that would be prove Badme as part of Ethiopia without a shadow of doubt. However, Meles burned the evidence, and instead provided The Hague Court with a map that showed Badme as part of Eritrea. If the people of Tigrai had a right in the affairs of TPLF, there is no doubt they would have asked TPLF to turn Ethiopia from being landlocked into a Red Sea maritime power. TPLF would laugh at this idea because the leaders are sworn enemies of not only the larger prison Ethiopia but also its cell, Tigrai. TPLF may threaten Prince Mengesha Seyoum with arrest unless he retracts what he told the Voice of America [that Wolkait Tsegede has never been part of the Tigrai administration]. If the prince appears on any radio or TV or VOA alleging that his statements have been misinterpreted, the Ethiopians should outrightly condemn the despicable TPLF for coercing Prince Mengesha to testify against himself.